Brylee Parrish had been left at the alter by a man she thought she loved. She had gotten over it but it felt as if she was just waiting for something to happen. Then she meets her new neighbor Zane and her heart starts beating a little faster. Zane Sutton is taking a break from the Hollywood scene and back to his rodeo roots. He will be jaded when it comes to women but Zane will be changing his tune when he meets his neighbor Brylee. He will have to convince her that he will not be going back to Hollywood and was here to stay. Big Sky Wedding is the fifth book to Linda Lael Miller’s series Parable, Montana. Now I did like the previous book with Casey and Walker but I would have to say that Brylee and Zane’s story was better. I was able to be drawn into the story more with these two characters. They were both broken or had their trust misguided at one point and were learning with each other. I guess I am a sucker for these types of characters. Brylee was still bitter but not because of Hutch it was because she hadn’t found someone she wanted to be with. I liked Zane who was more down to earth actor which was because of how he was brought up. He had it tough but survived. They were both survivors which made them perfect for each other. I am waiting for the next book Big Sky Secrets to be available to checkout which is with Landry and Ria. Walker Parrish has lived for years on the sideline when it came to his kids. They only knew him as a friend but that will soon be changing when Casey moves to his town. He will finally start to have a relationship with his own kids and the woman he has loved. Casey Elder wants a normal life for her children. She loves music and performing but wonders if she has made a mistake with how she raised them and that she kept them away from their father, Walker. 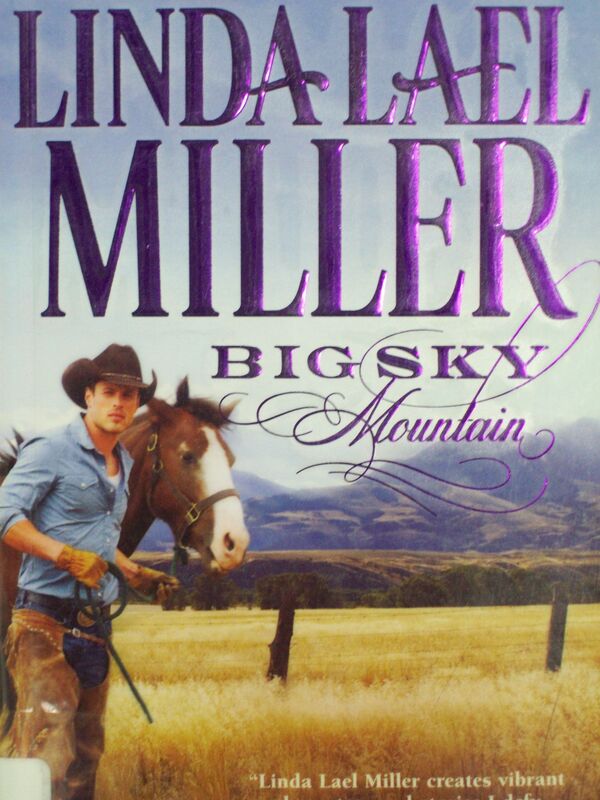 Big Sky Summer is the fourth book from Parable, Montana series by Linda Lael Miller. I had been wondering how the story of Casey and Walker would play out. It was an uphill battle between them and the kids as they got over the shock of finding out who their father was and where to go from there. I liked the story for the characters as they had flaws like Casey who I wasn’t warming up to all the time. I think it was because of the situation she put her kids into along with Walker, but she does redeem herself. She is a good mother who was scared and on the verge of a big career. I liked Casey and Walker’s explosive passion that happened every time they were together alone. Now Walker was a cowboy through and through. He played the part of friend to the kids and it kind of broke your heart that he was only on the sideline. With the turmoil that happened there is still a happy ending that brings the family together. 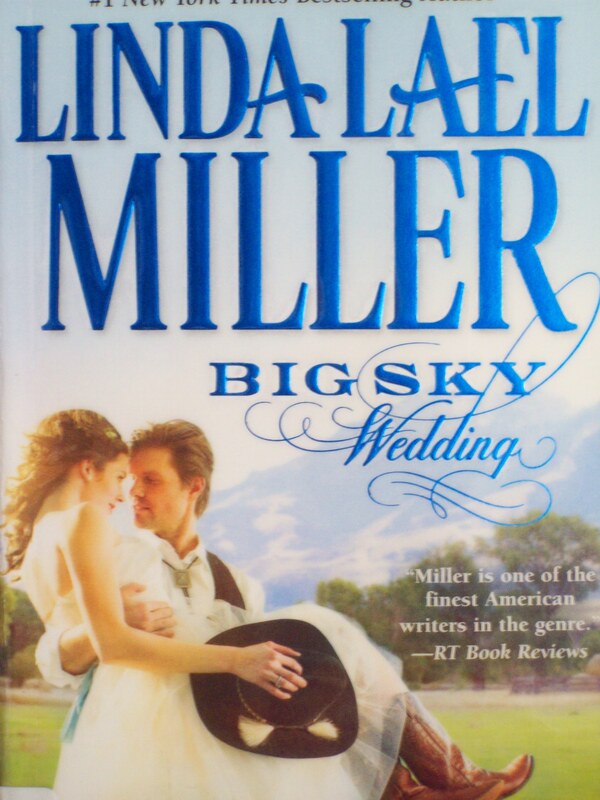 The last book I have from Linda Lael Miller is Big Sky Wedding. Sheriff Boone Taylor is a widower trying to get used to having his kids living back with him and still trying to get over the death of his wife. Boone doesn’t like the fact that he has feelings starting for his neighbor and will soon start resisting that pull of attraction. Tara Kendall has made Montana her home but she misses her step kids and will now have the chance to see them again. Tara’s only problem will be with her next door neighbor who she thought was a jerk turned out to be better than she realized. 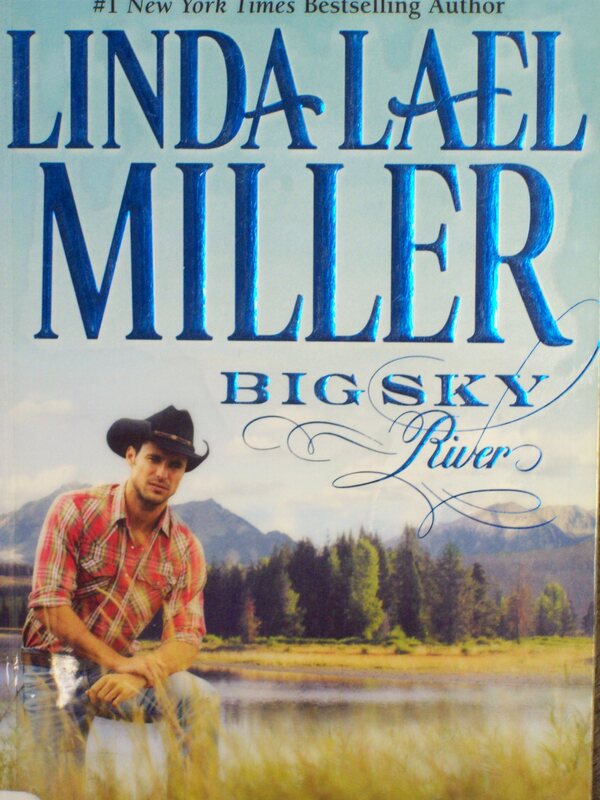 Big Sky River is the third book to Linda Lael Miller’s series Parable, Montana. With this next book I liked it. It wasn’t my favorite of the series but overall enjoyable. Boone was a widower and very moody at times but it is understandable. I liked that he finally got his act together and shape up with his kids and pursing Tara for an actual relationship. Tara is hard working and loves her step-kids. She grows a backbone finally when dealing with her ex-husband and when dealing with Boone. What I liked about the two characters was that their relationship did not start with love at first sight. It was an uphill battle for both of them to get over their mistrust and grief. Casey and Walker’s story is next in Big Sky Summer. Hutch Carmody is coping with a new relationship with his half brother, running the ranch and discovering that he still wanted to be with Kendra. He will keep by her and find more reasons to stay close. Kendra Shepherd was back with now her four year old adopted daughter of her ex husband. She would keep her daughter close and start a new life with her but she didn’t expect that it would include Hutch. Big Sky Mountain is the second book to the series Parable, Mountana from Linda Lael Miller. This was a sweet book of second chances for the two main characters. Hutch was a cowboy who grew up to be a better man. He is kind and loving but doesn’t always see things for what they are. I liked that he was relentless when it came to pursuing Kendra after he no longer was too be married to the woman he didn’t love. Kendra is sweet and a loving woman and now mother. She is a strong woman and tries to resist the attraction that is still there. It takes a while for them to realize that life together would be better than apart. I found it interesting that both characters were willing to marry people they didn’t love. Kendra actually makes that step and had married the man she did not love, but it will work out in the end especially now she has the chance at happiness again. Within the story there are several other stories that are being told and all those characters will have their own story. Casey and Walker’s seem a little strange which is the fourth book. First though I will be reading the third book, Big Sky River, with Sheriff Boone and Tara. Sheriff Slade Barlow had known his whole life who his father was but his father never acknowledged him. Now it was time for Slade to be shocked when his father dies and leaves half of the ranch to him and Hutch, his half brother. Joslyn Kirk is back in the town that she ran away from thanks to her stepfather who stole from many in the town years ago. Joslyn feels responsible for this and wants to make sure those people get back what they lost all those years ago. 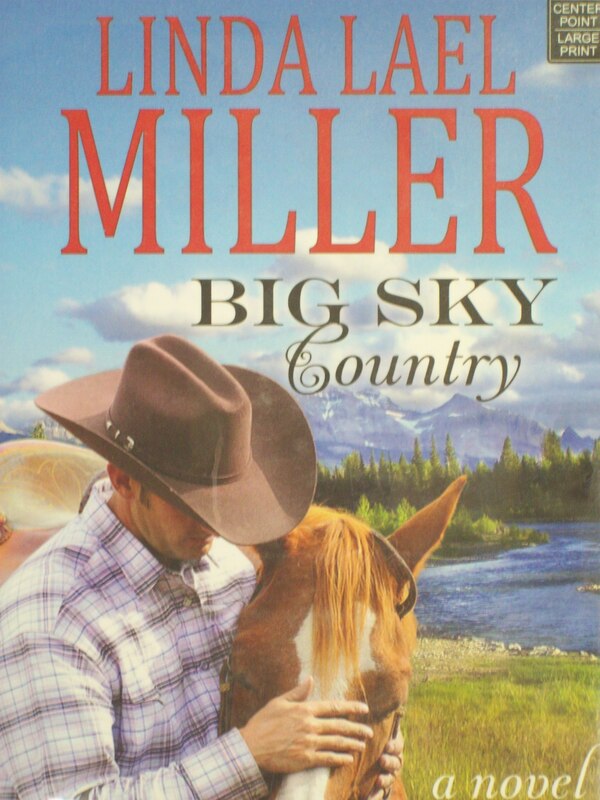 Big Sky Country is the first book to Parable, Montana series by Linda Lael Miller. I have heard Linda Lael Miller’s name from time to time and figured to once again try a new author. I was lucky to take several of the books from the series which were available from my library. So for the next several days I will be surrounding myself with cowboys from the Parable, Montana series. I liked both characters of Slade and Joslyn. Slade was the gun towing sheriff who looked to be done with his sheriff days. I liked that he was a caring man, especially towards his stepdaughter, but that he was also very much the silent type giving small grins most of the time. Joslyn was someone who felt guilt and needed to fix that. I liked that she did not advertise that she sent the checks or looked for appreciation that she was giving the money back. Now there are some uphill battles that Joslyn and Slade have to conqueror like actually liking each other. They have a lot of heated battles but it all steams from the passion that is underneath. They get the happy ending and things even look better for the half brothers mending their fences. Big Sky Mountain is next with Hutch who was introduced in the first book along with Kendra. I am interested in how Hutch will win back Kendra. Autumn Haven went loose six years ago in Vegas and married a man she only knew for five days. The honeymoon was over the next day and her husband left. Her life would be forever intertwined with him as they had Conner. Autumn had done her best to avoid the hockey player but she will start to see him a lot more and feelings start to come back. Sam LeClaire was very good at hockey. He played hard on and off the ice. There were plenty of women who wanted to be in his bed but one. He had Autumn six years ago but he couldn’t be with her then. Sam is thinking differently now as he wants to spend more and more time with his son and find a way to get Autumn back. Any Man of Mine is the sixth book to the Chinook Hockey Team from Rachel Gibson which was a fun book to read. It’s funny as each book I picked randomly from Gibson they all were about this one family or extended family. I started with Stella and moved on to the next book with Sadie, Stella’s half sister, who was with Vince. Then in this finally book there is Autumn who is Vince’s sister. All of the characters were connected and it was fun to read about them. So the characters of Autumn and Sam were not good together as they could do nothing but fight. The fighting seemed realistic between them and I liked that they did their best to think of Conner’s best interest and it will be Conner that will bring the parents back together. I liked Autumn for her determination and wouldn’t back down and always did what was best for her little boy. Sam was a hot head and used to things his own way. He does change for the better as his partying ways dwindles. He wants to be back with his ex-wife. Getting Autumn back wasn’t an instantaneous concept for Sam but the more he was around them the more he wanted to stay which was sweet. I did like Sam even though he was a womanizer. I will be looking for more Rachel Gibson’s books. I don’t know if it will be a new series, continuing or just a novel from the author. Skye Kellerman was attacked four years ago by a deranged man but she was able to get away by stabbing him with a pair of scissors. He was put away but with only three years in prison he gets out and Skye is preparing for the inevitable attack but this time she wouldn’t be alone with her friends and Detective Willis behind her. Detective David Willis knew that Dr. Oliver Burke was the man that attacked Skye four years ago and wouldn’t let anything happen to her now that he was getting out early. He will do everything to protect Skye who he can’t stop thinking about which is threatening his reconcile with his ex wife. He will becoming closer with Skye as her life is being threatened. 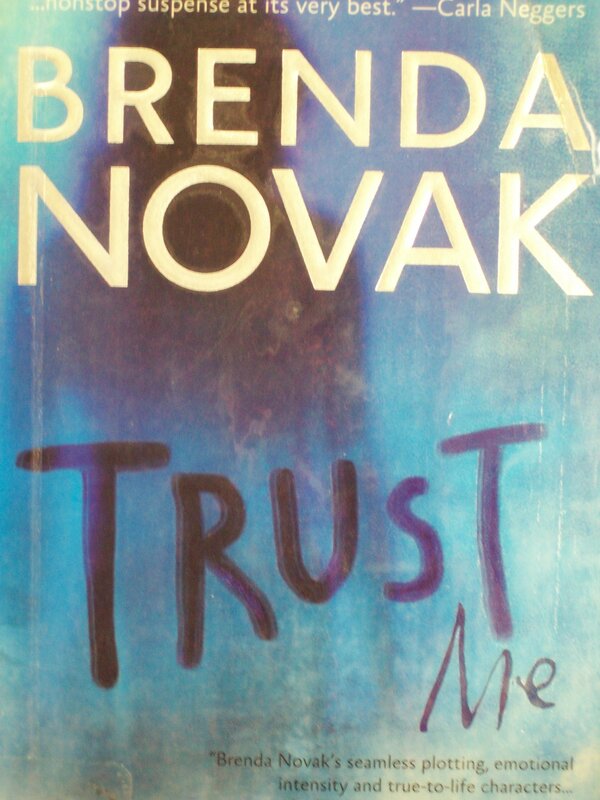 Trust Me is the first book to the series Last Stand by Brenda Novak. I have read Novak before with the first book from Whiskey Creek, a series I will have to get back to, and really liked how she wrote the plot and characters. This book was completely different with a cat and mouse game that the main characters had to play in this thriller. From the first page I was hooked. I like these kind of thrillers as it gets you thinking about what is going to happen next. The only thing that threw me was I felt that I was coming into the story already being told but it is still very easy to follow. There is no story before this but it was the crime that happened several years ago. I loved Skye and David. Each of them were compelling characters for their own reasons. Skye went through a traumatic event and made it through. She wants to move on and wants David but doesn’t want to be hurt as she knows that he will be going back to his ex-wife. I liked that David does think about going back to his wife but it is to care for her as she is sick with MS. He has a lot of trouble staying away from Skye, he is not cheating but he feels like he is cheating on giving his son a normal life. There is a point in the book that will have David feeling just fine that he can be with Skye which I was happy that Novak put in so they can have their happy ending. The villain in the book is clearly known within the book as there is no doubt but there is a good twist at the end of who was connected to the man that Skye shot. I was surprised but it made sense as that person was clearly going out of their mind. The Last Stand series is one I want to keep following. The organization in the book intrigues me as do the characters. I will be on the lookout for the second book from the series or which ever one I come to next.